Exhibiting in Hall 5.2 in the Koelnmesse, the Sony booth will be open from 10:00 on Tuesday 20th September until 18:00 on Sunday 25th September. In addition to the full product line-up, Sony is inviting attendees to experience a full programme of live talks and demonstrations that will take place on the Sony booth throughout the show. At these free talks, world-renowned photographers and filmmakers will be sharing their insights as well as their own personal and professional experiences of using Sony cameras and lenses. As part of the programme, there will also be a series of live action shows which attendees are invited to photograph including a celebration of Samurai sword artistry, professional break dancers and acrobats. Announced at Photokina 2016 and being shown for the first time anywhere in the world, the ɑ99 II is the new flagship Sony ɑ A-mount camera. Boasting an innovative Hybrid Phase Detection AF system incorporating 79 accurate hybrid cross points[i] and offering continuous shooting at up to 12fps,[ii] the ɑ99 IIis destined to be a popular draw at the show. 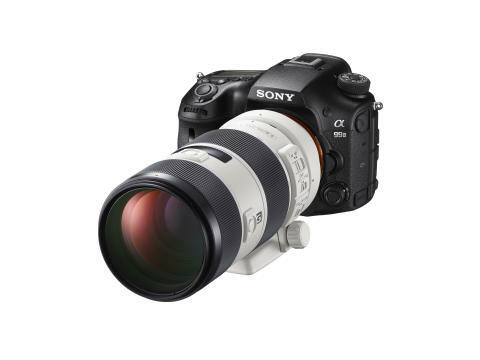 Sony is also showing its full range of ɑ E-mountcameras and lenses including the award winning ɑ7 series and immensely popular ɑ6300 / ɑ6000 models. The full ɑ Mount system of interchangeable lenses will on display at the show including the recently launched G Master premium lenses and the brand new SELP18110G and SEL50M28 ɑ E-mount lenses. Launched in Europe at IFA 2016, the FDR-X3000R is Sony’s new flagship Action Cam and boasts the integration of Balanced Optical SteadyShot (B.O.SS) for the first time in an Action Cam whilst also offering the ability to shoot amazing 4K video. The FDR-X3000R will be on show alongside the full Action Cam and 4K Handycam© line-ups. For compact camera enthusiasts, the RX series of cameras have proved to be incredibly popular since the launch of the original RX100 in 2012. Sony will be showing the entire line-up of RX100, RX10, and RX1 families of products at Photokina 2016. For the first time, and in line with its commitment to provide a full range of high performance media devices to professional photographers and enthusiasts, Sony’s Flash Memory team will have a dedicated space at Photokina. In Hall 2.1, Sony will show a selection of Memory Cards (SD & XQD), USB, SSD and HDD drives, all of which will be available for trials and tests in conjunction with leading Sony cameras. 2016 marks 20 years of collaboration between Sony and ZEISS© to jointly develop and bring to market imaging products. A dedicated display has been prepared and will be showcased on the Sony stand to highlight some of the most celebrated products that have been the fruits of this partnership. Now in its 10th year, the Sony World Photography Awards is the world’s biggest photography competition and a stunning gallery has been prepared to showcase a selection of the winning photos from 2016. [i]The number of usable AF points may depend on the lens and shooting mode. Up to 323 focus points are selectable. Not available for movie recording.